Pictures of the Honor V20 Maserati Edition and leaked before the launch of the specification. The company is going to launch this phone in China on December 26. Let's know what the Honor is providing in this phone, according to the leaked information. Huawei's Sub-Brand Honor is launching its new smartphone Honor V20 Maserati Edition on December 26. 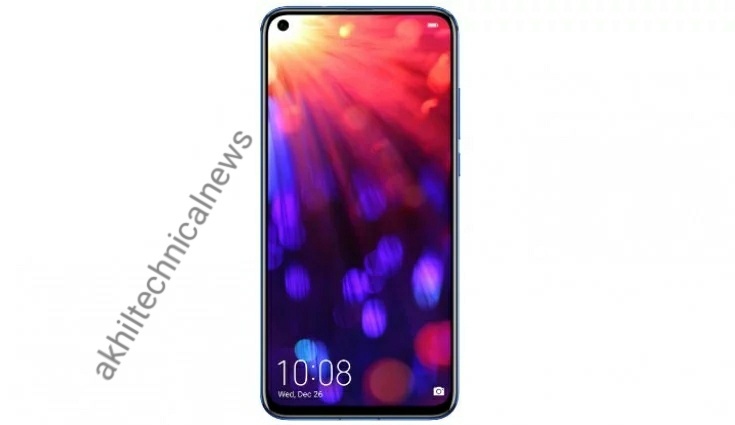 The company had already given some information about the specifications of this phone, but now many more information and photos related to this phone are leaked online. 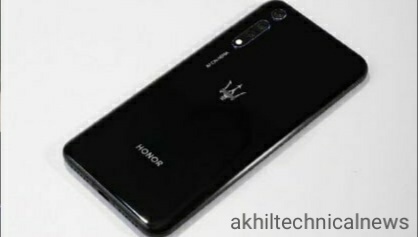 In the leaked photo, the back panel of the Honor V20 Maserati Edition is showing, where three rear cameras are visible for photography with its logo. On the lower part of the phone, there is an honor written, as well as two speaker grills, are also seen. Apart from the phone, a retail box picture has also been leaked online. To be talked about, the cost of its 6 GB RAM / 64 GB storage variant is 2,799 Chinese yuan (about 28,400 rupees). At the same time, its 6 GB RAM / 128 GB storage variant is priced at 3,299 Chinese yuan (about 33,500 rupees). This pre-order has already begun. Please tell that the Honor V20 smartphone has a 48 megapixel Sony IMX586 camera sensor. On the left side of the phone, a hole is given 4.5mm diameter for a selfie on the side of the phone, due to which the screen to body ratio is close to 100%. Only the display will be seen in its front and there will be no noch. The V20 smartphone is equipped with a 1 / 2.0 inch CMOS sensor, 4 times the sensor HDR, 4-in-1 light fusion and AI capability. The processor is to be talked about using the company's latest 7 NM Octa-core Haciilikon Kirin 980 processor. Supports reports, GPU Turbo Gaming Technology can also be given in the phone.